Today’s Five Minute Friday is my final swap that I took to OnStage. This card looks small because it is! It’s a 3×3 notecard size. 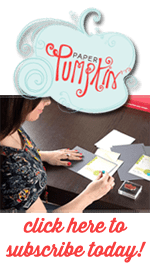 This swap is specifically for 3×3 notecards so we are all trading the same mini creations. 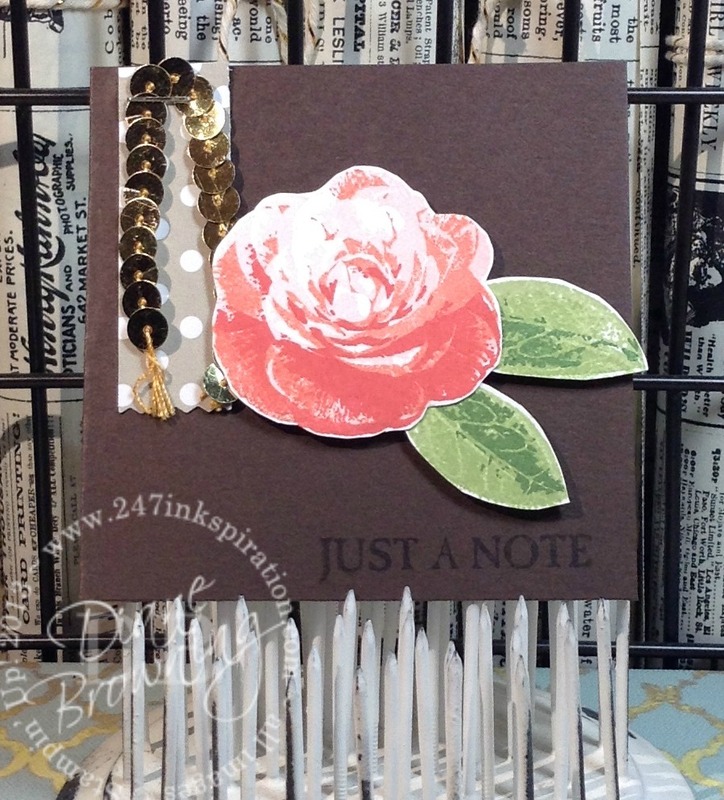 This rose is from the Picture Perfect stamp set. This rose is a 3-step stamp. It has three separate stamps with different layers of petals and you stamp each one in a slightly different color to get the shading effect. The tab was made using the Washi punch. The top end was trimmed to give the straight edge. Unfortunately, there is no die or punch for the rose so it does have to be hand cut. Once you have the rose stamped and cut, the rest of the card goes together pretty quickly. If you’re a slow cutter, this card will take you a little more than five minutes. I do like this 3×3 size. You can get 8 of these cards out of one 12×12 sheet. These are a great size to include in my customer orders as a thank you. Place an order and I’ll send one to you too!